Featuring Recently Reduced Price Farmland property ONLY. Buy - Sell - Rent your farmland property! No commissions! FEATURING MORE THAN $191 MILLION WORTH OF PROPERTY! List YOUR Farm Property for ONLY $299.99! Want to Sell, Buy or Rent Farm property? WATCH THIS! Click Map Below to find your Farm Property. 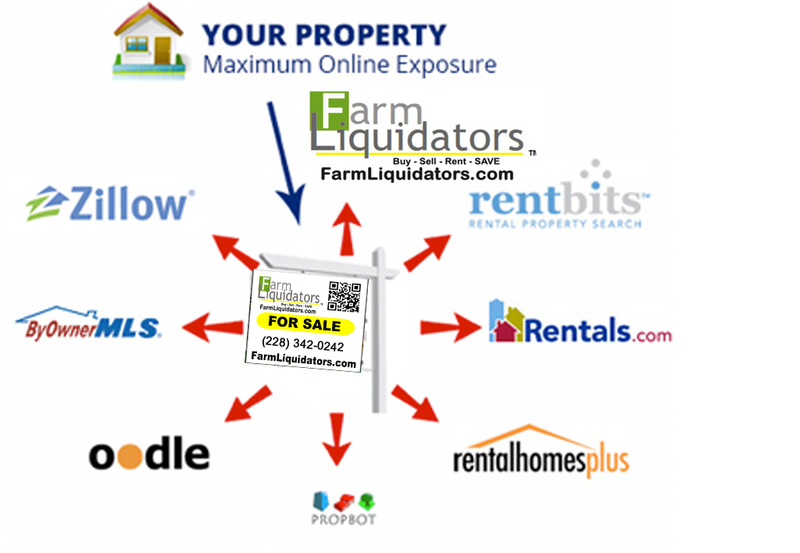 Farm Liquidators connects Sellers, Buyers & Renters instantly to market their farm properties at an affordable cost and provides a fast and easy way to find farm bargains! We give you the power of technology to bring together farm buyers, sellers and renters unlike ever before. The world has changed and the old way of doing things won’t ever make a comeback. Want to sell, buy or rent just farm property? Follow Us! 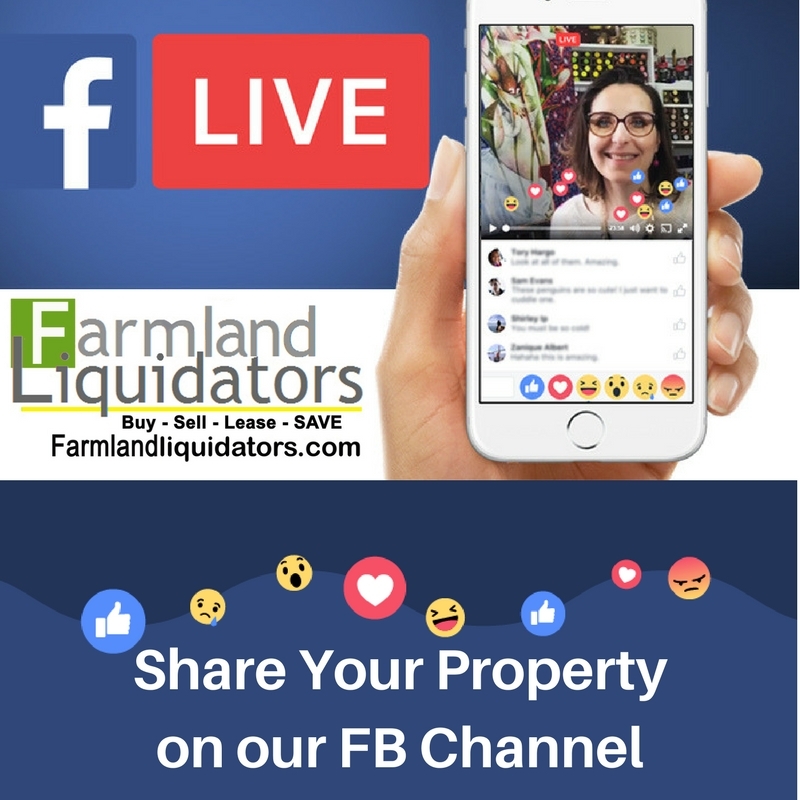 Farm Liquidators is an intermutual multi-media publishing company specializing in farm property only, offering unique selling value to both Buyers and Sellers of recently reduced priced property. A limited number of qualified advertisers though out the United States. Farm Liquidators is committed to protecting its claims expressed and implied in our name and to offer extraordinary value to our followers and advertising partners. Farm Liquidators is a subsidary of Waterfront Liquidators, a digital media company that owns and operates Waterfront Liquidators, InstaWaterfront, Farm Liquidators , InstaFarmLand, Horse Farm Liquidators, Ranch Liquidators, and Mountainside Liquidators. Each individual company is an intermutual multi-media publishing company specializing in its respective specified category, offering unique selling value to both buyers and sellers. The websites leverage the intellectually protection-pending brands, and proprietary customer engagement platforms connecting motivated Buyers, Sellers and Lessees of recently reduced price property immediately. Sellers or Agents register their property on to list for sale or lease by selecting the desired package, typing in the specifications, and uploading the photos. Liquidators Media Group, is committed to protecting its claims expressed and implied in our companies names and to offer extraordinary value to our followers and advertising partners. Liquidators Media Group, 1319 E. Second Street, Pass Christian, Mississippi, 39571.